Alkalinity is a measure of the acid-neutralizing capacity of a water. Acid-neutralizing capacity means the ability to accept acid without a subsequent drop in pH. Alkalinity is basically a measure of how much antacid is dissolved in the water. The more acid that can be added to a water before the pH starts to drop, the higher the alkalinity. Normally, adding acid to a solution would cause a drop in the pH since this increases the number of hydrogen ions. But if a hydrogen ion can be neutralized by a base then it will not contribute to the pH so the pH will not change. A water that can accept acid without a subsequent drop in pH is said to be buffered. Therefore, alkalinity is the amount of buffering in a water. Acidity is the opposite of alkalinity and is a measure of the ability of a water to accept bases without the pH increasing. 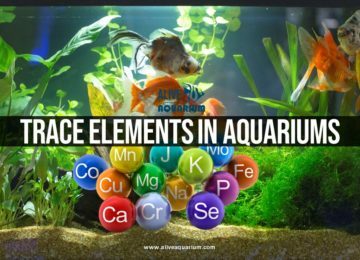 Acidity is rarely important to aquarists as none of the fish and invertebrates we keep live in the low pH of water normally associated with high acidity. How to Test Alkalinity in Reef Tank? 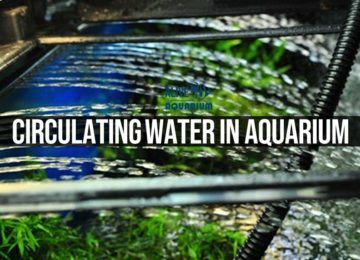 While calcium carbonate is the most common way to express alkalinity the aquarist must realize that, as stated above, there may be many more substances contributing to the alkalinity then just carbonate. The use of calcium carbonate is just a convenient way to standardize the measurement and its reporting so data from many different types of water can be compared. It is analogous to a group of tourists travelling to many different countries and upon their return wanting to compare how much money they have. The money is in many different currencies so they mentally convert it to U.S. dollars. None of the tourists actually have U.S. dollars but for comparison purposes they determine the equivalent amount in common currency to see who has the greater total. Much of the confusion between alkalinity and pH may stem from the fact that pH is used to measure alkalinity. As the accompanying figure shows, alkalinity is determined by ‘titration’. During titration, acid is added to the water sample. At first, the acid is neutralized by the bases present and the pH remains stable. With further acid additions the bases are consumed and the pH will drop more quickly. Finally, each additional drop of acid will cause a large decline in the pH as there are no more bases available to neutralize the acid. In the alkalinity titration procedure an acid of known concentration is slowly added to the water sample until a specific pH is reached. The designated pH is called the endpoint pH and the most common value is 4.5 (but in cases of low alkalinity, less than 20 mg/L CaCO3, a pH of 4.9 is used). When comparing the alkalinity from one sample to the next it is important to make sure the pH endpoint is the same. Alkalinity is also the reason why the pH seems to ‘bounce’ after adding a pH decreasing chemical. Immediately after adding acid the pH will decrease but after a time and some stirring of the water the pH will rise towards the initial value (this is the bounce). This is due to the bases neutralizing the acid you have added. You will have to repeat the acid additions until the bases are consumed, at which time, the pH will drop quickly and not bounce back. 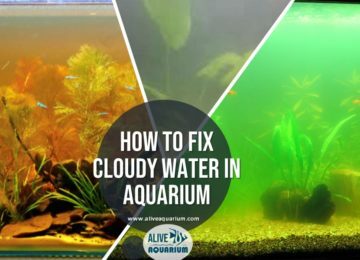 I recommend you test the water once a week and note the values in your aquarium logbook. When the values start to drop, a partial water change is needed. Make these procedures part of your regular maintenance and your fish will live longer, healthier lives.